These are my new Crofthouse Pincushions. 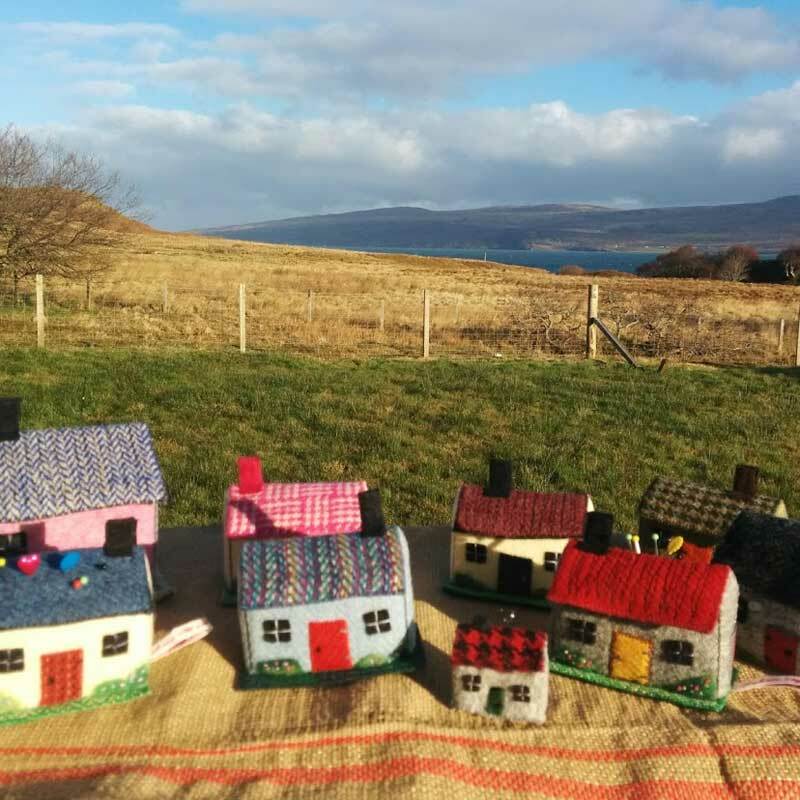 The pincushions are made from genuine Harris Tweed and rather niftily I have used the Harris Tweed label as a little pocket to hold a needle threader which will be supplied. Please note the pins are not supplied. 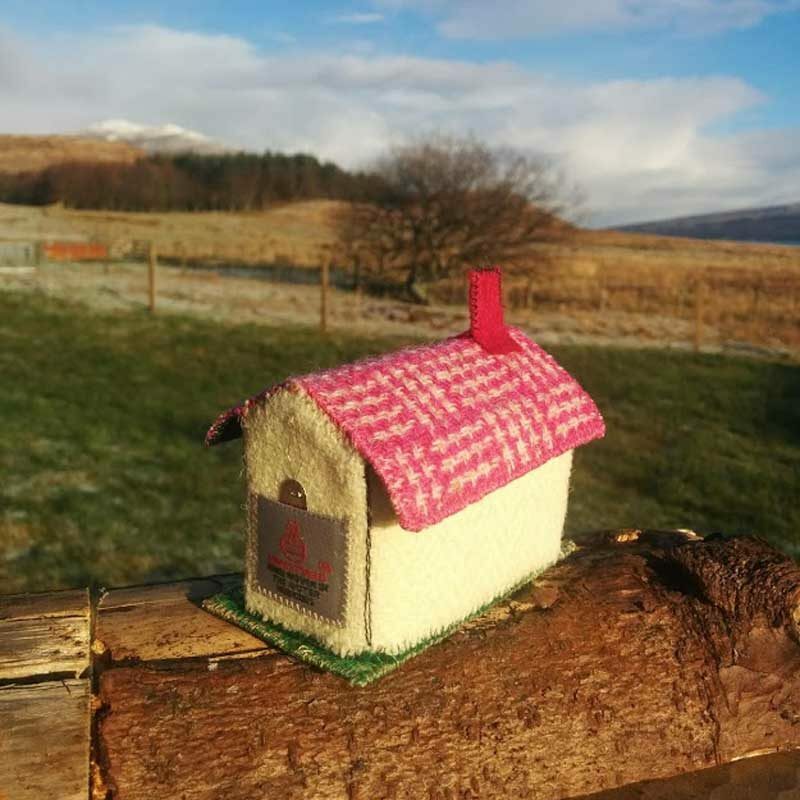 This Crofthouse has a pink basketweave tweed roof and arctic white tweed walls. 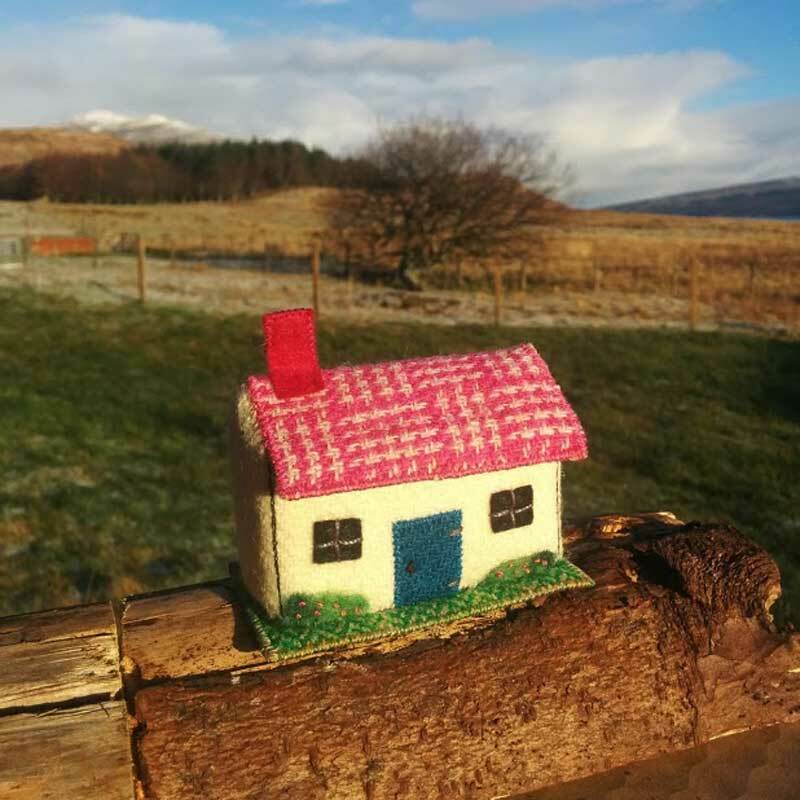 I have needle felted flowers to the front of the pin house and it sits on a green herringbone tweed base. The pin-house is stuffed with dried rice so please bear that in mind if you are considering this item for posting outside of the UK as that can be an issue in some countries. A unique little gift for anyone who sews, or even as a lovely little decorative piece of textile art. I usually post out once a week as I live in a remote area.